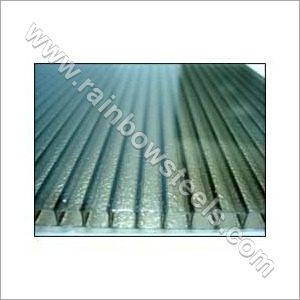 In this huge industry, our company has emerged as a one of the leading manufacturers, suppliers and exporters of high quality Polycarbonate High Rib Profile Sheet. We believe that it is the standard of quality products provided that shapes up a business. Therefore, we keep no stone unturned when it comes to the quality of our products. As a result, our offered Polycarbonate Sheets are known for its light weight, high impact strength, tensile strength and durability. Further, we make sure that our offered products have an impressive thickness, high heat insulation and are easily installed.